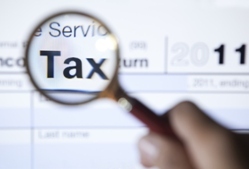 Ordinarily, if a taxpayer owes back taxes and penalties, the IRS will use any collection tactic at their disposal to get their money and will not let up until the debt has been paid or a payment plan has been arranged. However, if a taxpayer truly cannot afford to pay their tax debt and doing so would contribute to their economic hardship, the person can apply for Currently Not Collectible Status. This special temporary status does not forgive the debt but protects people dealing with major financial difficulties from potentially devastating collection methods like wage garnishment and levies. When the IRS agrees to consider your debt Currently Not Collectible, they won’t attempt to collect their money during this time period but the penalties and interest resulting from your tax debt will continue to grow. In order to obtain Currently Not Collectible Status, the IRS must be convinced that you’re experiencing financial hardship. They will review your household income against your monthly living expenses like rent, utilities, medical bills, and other essential expenses. If they find you don’t have any money left to pay off your tax debt after your monthly bills are paid, they will mark your account as uncollectible. They’ll periodically go back and review your situation and if your circumstances have changed, they will revoke this status and start collection procedures. Do You Qualify for Currently Not Collectible Status from the IRS? Stuart C Hill Jr., CPA, PLLC can review the evidence and determine whether or not you qualify for this status. We'll use IRS guidelines to accurately calculate your gross monthly income, allowable monthly expenses and assets and compare these figures with your back-tax liability. If we establish that you are a good candidate for this status, we'll help you compile the necessary financial documentation and tax forms needed to pursue this avenue of tax relief. When you consult with a Fort Worth, TX tax accountant like Stuart C Hill Jr., CPA, PLLC our goal is to find a long-term solution to your tax problems. 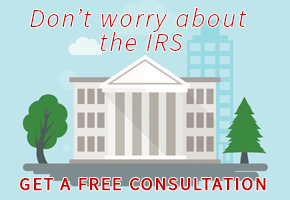 Call us at 817-332-3320 today to learn more about how we can find a suitable tax relief option for you.